Dire Straits is the self-titled debut album by British rock band Dire Straits, released in 1978. The album's opening track, "Down to the Waterline", marks a confident and musically assured start to the album with its striking introduction, and the album, on release, was also noted for the single "Sultans of Swing", which at first broke a US Top Five early 1979 (being a hit full five months after the album was released there) and then raised up at #8 in the British charts. "Water of Love" was also released as a single in some countries, but only charted in Australia, reaching #54. In Europe, the album sold four million copies while in the U.S. it sold two million copies. The album was remastered and released with the rest of the Dire Straits catalogue in 1996 for most of the world outside the U.S. and on September 19, 2000 in the United States. 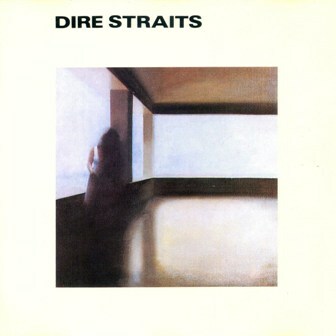 The cover image is taken from a painting by Chuck Loyola, while the famous Dire Straits Fender icon was designed by Geoff Halpern, latterly of design consultants Halpern Grey Vermeer.